We’ve all been there – a bit of mismanagement or added expenses and you end up with nothing but a few dollars in your pocket. However, that’s no reason to stay locked in the house. In fact, there are so many nice things you can do on a date for free. We’ve all been out of pocket at some point. That’s no reason not to have fun on a date. There is nothing wrong with being out of pocket at some point in one’s life – almost everyone can relate to it. Sometimes not having much money can actually make us think outside the box and make a date even more interesting. Knowing that you have to overcome an obstacle together is also a way you can bond. Here are some ideas to inspire you. Hit a flea market or thrift shops. There is no need to buy anything; just checking out all the different bric-a-brac there will make the date fun. And if you want to buy something, you’ll most probably be able to afford it. Take a stroll on the beach. Few things can be as romantic as a walk on the beach. Grab a bottle of wine from home and take her for a walk by the sea, under the moon. If you feel like it, why not make a bonfire? 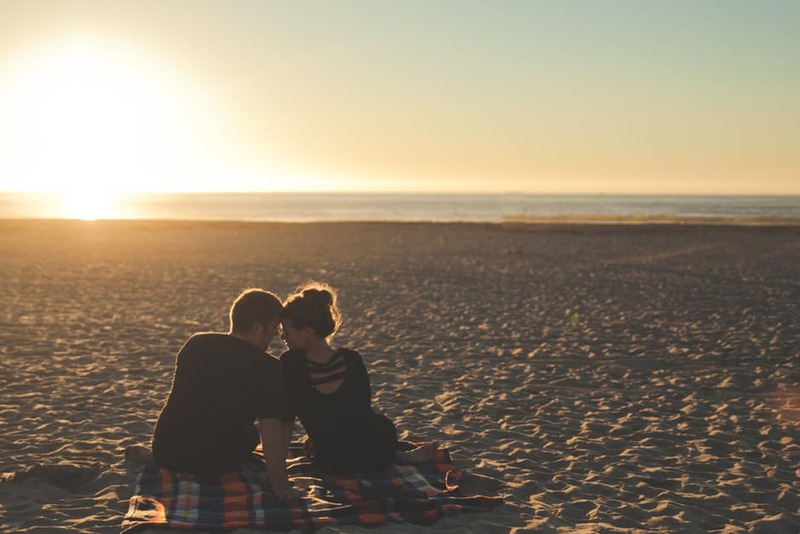 Add more romance and interest to your date by lighting a bonfire on the beach to sit around. If you play an instrument you can take with you, go for it. Singing together will be both romantic and fun. Visit a museum on a free night. Many museums have special nights when they stay open till late. It will be a totally different experience being in a museum at night, and it will also be educational for both, not to mention fun. Decide on a very difficult recipe – we are talking molecular cuisine level – and go about preparing it together. Laugh at the disastrous results or take great pride in actually pulling it off, in the unlikely event you actually make it. In both cases, you will see what it’s like working together as a team, which is a great way to come closer. Play strip poker (or any other strip version of a game of your choice), and get a little closer by the end of the night. It’s a win-win situation. Organize a trip together. Go looking online, decide on a destination, browse hotels and make a list of the things you’ll do when you get there. Dreaming about it is half the fun. The process will also give each other an idea of your preferences and interests. You may not be able to afford it now, but you soon will. Go on a picnic. Prepare your own sandwiches at home, bring some booze and a big blanket to sit on and visit your favorite park for some dining al fresco. The list of interesting, fun and romantic things to do on a date for free is practically endless and choosing what’s right for you depends on where your relationship is at (for example, the strip poker idea may not be the best idea for a first or second date), the weather (on a rainy day you should probably forget about the bonfire and the picnic) and your personal tastes (don’t make her cook if she hates it). However, where there is a will there is a way, and being broke shouldn’t take away from your fun. Enjoyed this article? Read more about relationships and dating here. For more dating tips and news, you can visit our blog. If you’re looking for that special someone, why not visit AnastasiaDate?